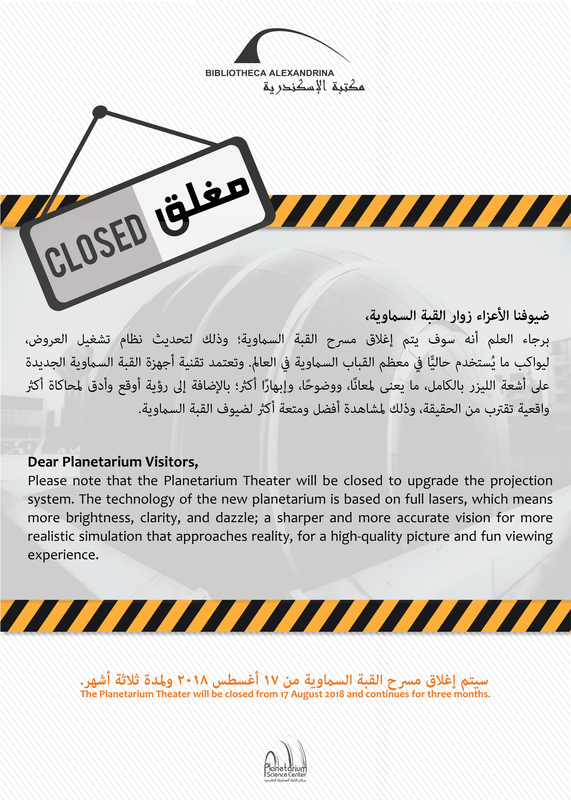 Please note that the Planetarium Theater will be closed to upgrade the projection system. The technology of the new planetarium is based on full lasers, which means more brightness, clarity, and dazzle; a sharper and more accurate vision for more realistic simulation that approaches reality, for a high-quality picture and fun viewing experience. 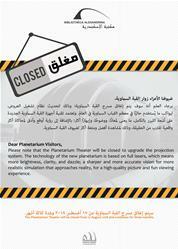 The Planetarium Theater will be closed from 17 August for three months.